I'm sure of writing something similar towards the end of 2012 but this year has been a huge one for me and my climbing. Last year was brilliant, and another big step up in terms of climbing, but 2013 has blown it out of the water. Taking advantage of some of the late season snowfall, in APRIL! For the last few years I've spent a fair amount of the time traveling and climbing abroad. 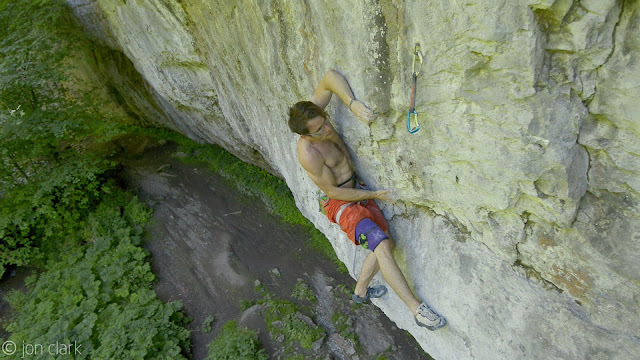 It is crazy fun spending endless weeks at a sun kissed European crag, without a care in the world, other than your current project. This year however I made a decision to stay at home and climb local, with the hope that we might just get a decent summer. However we did make one brief trip back out the Frankenjura in April. Myself and Ted had a brilliant time out there last year and this time our aim was to stay for longer. In the end it was hardly the best of times and we found ourselves back home rather early, but we still got some great routes done and it was a good learning curve. Back on home soil it was time to get stuck into the sport season for real. The weather came good and stayed good for most of the summer months. Crags dried out, even the Chee Dale Cornice again, and lots of stuff got done by everyone. I love it down the Dale, there are so many routes to go at and all under the shade of the trees and right next to the cool river. Perfect. It would be impossible to go through all of my favourite routes of the season but a couple stick out to me in particular. Routes that marked a significant step forward in my climbing and routes that I really had to fight for. One of these has to be Mecca. It was a major major milestone for me and made all the winters training and hard work in the gym worthwhile. Not only was it my first of the grade it is also a route of huge historical significance and one I had been looking up at since a young lad, when I could not even begin to possibly imagine ever being able to it. Once this was done it was time to escape the heat and head into the depths of Chee Dale. 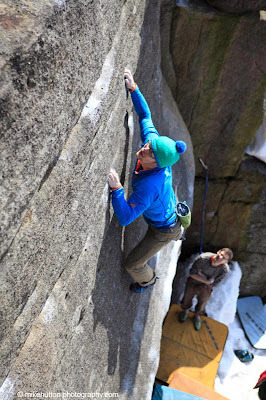 The Cornice is a classic crag with a tonne of classic routes. I had missed climbing down here and it was dam good to be back! Some stand out routes from our trips here include the old school line of 'Devonshire Arms' and the new school testpiece 'Techno Prisoners'. I had also forgotten how good it was a few years ago to head to this crag on rest days and do a bunch of the easier routes the place has to offer. I also had a couple of brilliant short trips with my Dad to both Yorkshire and Wales. We spent an awesome week camping at Gordale and climbing at the local crags. 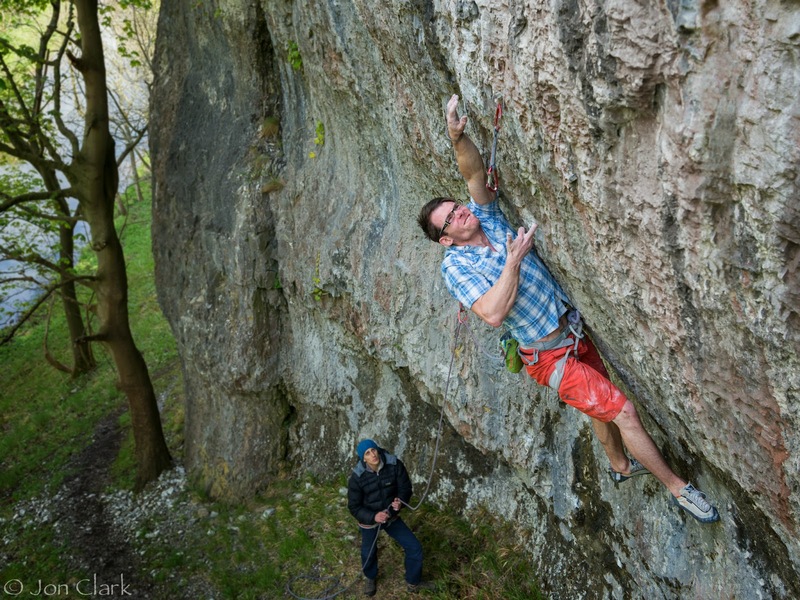 Malham especially is such a cool place and I always look forward to climbing there. We also got to check out Giggleswick for the first time, and spent a couple of sessions here, away from the crowds and heat. The weather was perfect, climbing early in the morning to beat the sun, relaxing on the campsite and enjoying being somewhere different. By the time the autumn arrived and temperatures started to cool off it was time to think of the main project that I had been mulling over for most of the summer. This was of course the extension to Mecca and I could barely wait to get stuck into something really hard, test myself and put everything I had learned over the last few months into practice. It took a fair few sessions but eventually it went down. My first 8c. I loved every moment of the whole process, even the days when things didn't go entirely to plan. In some ways I was sad to see it all end, but it was another huge personal moment for me and one I won't forget in a hurry! Thanks again to all the support I received from everyone and to my Dad for the hours he put in belaying. 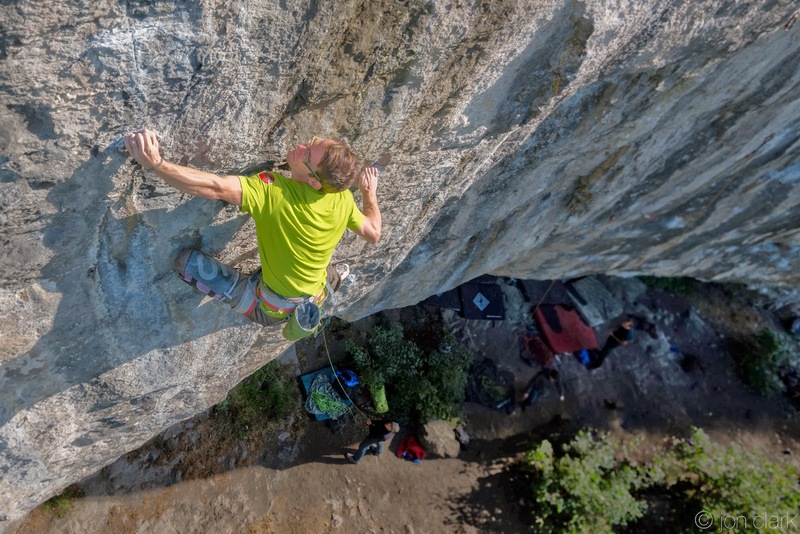 The grit season has been going amazingly well and as its all still fresh in the memory I won't go on about it, but again there have been some stand out moments over the last month or so and more major milestones reached. Lets just hope that the season continues at its current rate and the New Year brings more good conditions and top days out on the brown stone! Happy New year to you all and thanks for ya'll continuing to check in. I'd also just like to thank all my sponsors, Mammut, 5.10, NakdWholefoods, ProBalm and GUEnergyUK for their continued support. They are all a terrific bunch and I am super grateful and to be working with them all. Thanks dude. Would love to be able to meet up this year! Keep in touch!